Ink, Silk, and Gold explores the dynamic and complex traditions of Islamic art through more than 115 major works in a dazzling array of media, reproduced in full color and exquisite detail manuscripts inscribed with gold, paintings on silk, elaborate metalwork, intricately woven textiles, luster-painted ceramics, and more. These objects, which originated within an Islamic world that ranges from Western Europe to Indonesia and across more than thirteen centuries, share a distinctive relationship to the materials they are made of: their color, shape, texture, and technique of production all convey meaning. 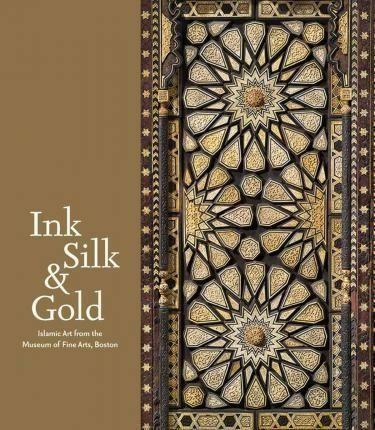 Enhanced by texts from an international team of scholars and drawing on the latest technical information, Ink, Silk, and Gold is an inviting introduction to the riches of the Islamic art collection at the Museum of Fine Arts, Boston, and a window into a vibrant global culture.